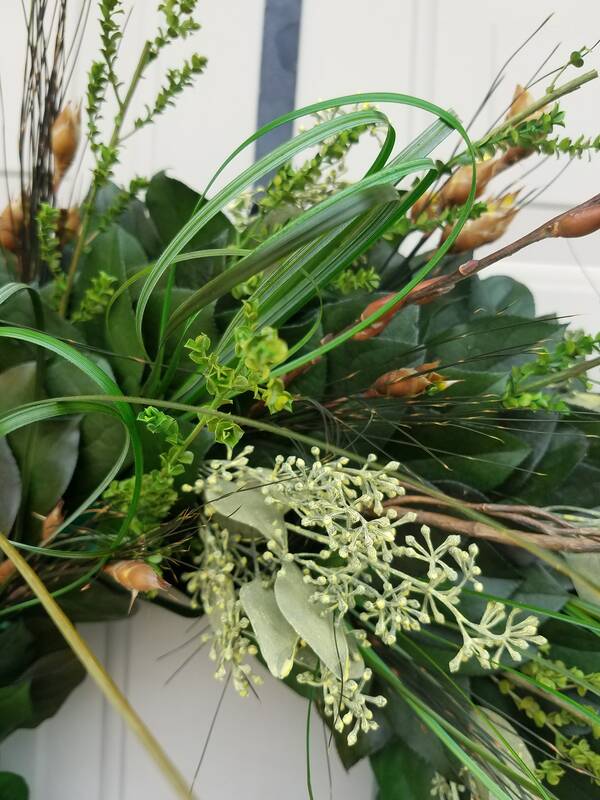 This preserved foliage wreath has been handmade using preserved salal leaves, seeded eucalyptus in chartreuse color, bell grass, stoebe foliage in light green, green lepto and looped bear grass. 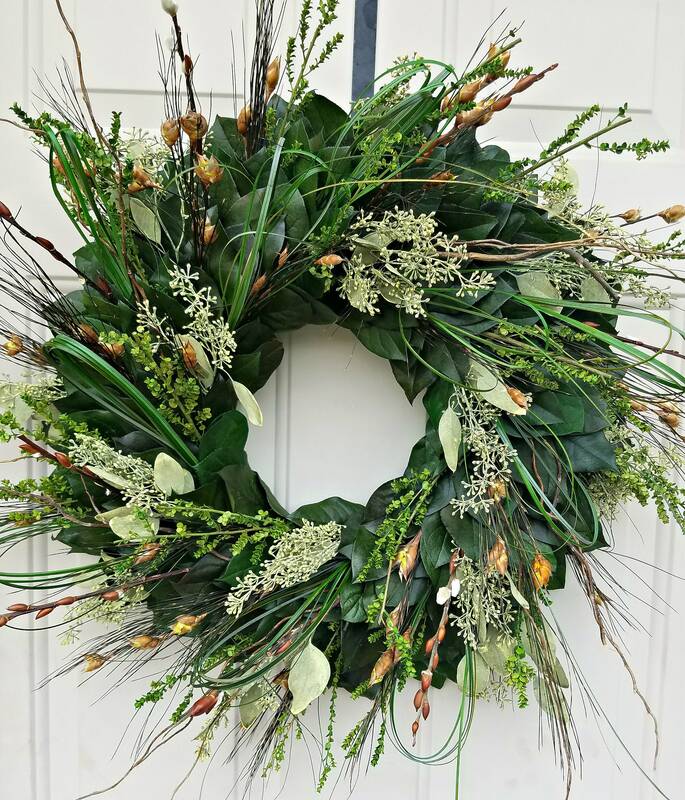 *********This wreath is not suitable for open air exterior doors This wreath should only be hung on an exterior door with a storm door as natural dried and preserved materials cannot withstand the elements. 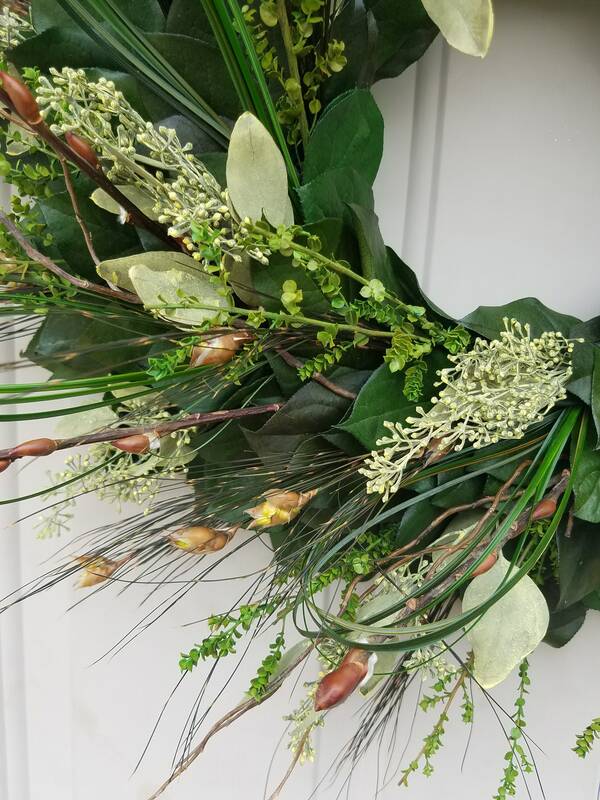 Wreath is made on a Styrofoam base measurement is of finished wreath tip to tip. 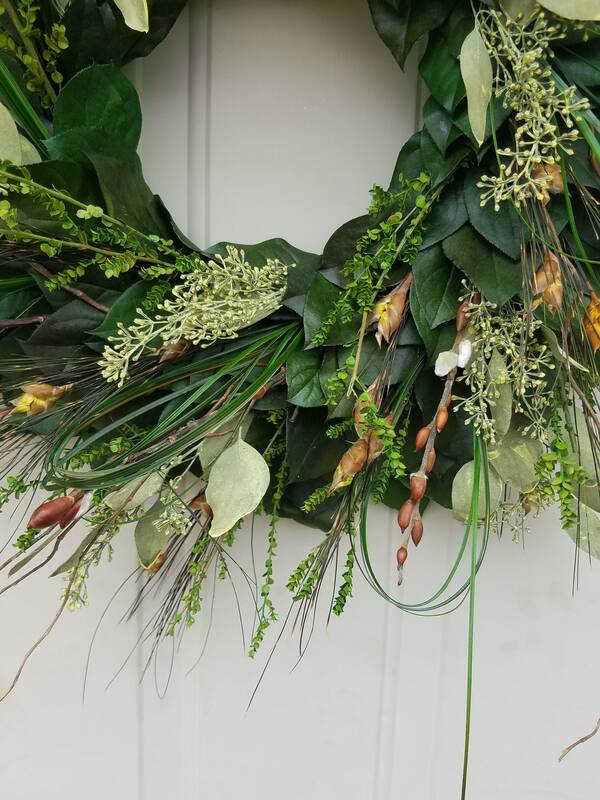 Wreath will measure 26 inches.